Enter your dates to pick from 823 hotels and other places to stay! Located in Chişinău, a 15-minute walk from Central market, Roxen Hotel&Spa has accommodations with free bikes and a shared lounge. Look really good. All was perfect.Recommend for all people who want nice service and luxury room for the money. Was clean room/bathroom. Astoria provides free WiFi and rooms with air conditioning in Chişinău. This 3-star hotel offers a 24-hour front desk. 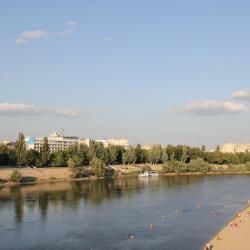 The property is a 13-minute walk from Chisinau Town Hall. The staff was very nice and helpful. The room is very clean. The position is good and and location îs excellent. Mon Ami Villa has rooms in Chişinău. 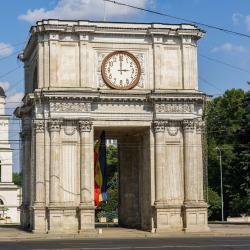 The property is around a 7-minute walk from Chisinau Town Hall, half a mile from Birth of Christ Cathedral and a 9-minute walk from The Triumphal Arch Chisinau. Breakfast, staff, location, all excellent.The two guys staffing the front desk were incredibly friendly and welcoming, and a great comfort that they took pride in this cool place. Featuring free WiFi and air conditioning, elegant ZENTRUM ApartHotel is located in the center of Chişinău. Free private parking is available on site. The real kitchen inside looks fantastic). Not sure if somebody tried to cook there. Anyway I checked - all the necessary pieces are in place (e.g. pans, plates, spoons). Featuring free WiFi, Elite Hotel offers accommodations in Balti, 164 feet from the main square and attractions. Free private parking is available on site. Everything was great: good location, rooms were very clean and in perfect condition. The staff was kind and helpful. This was my second stay in this hotel, I would come back anytime. 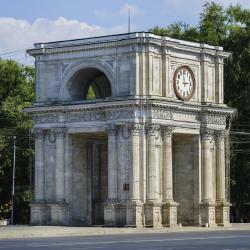 Offering free WiFi, Familion Apart-Hotel is set in Chişinău, 0.9 mi from the Arch of Triumph. All units feature a flat-screen TV with cable channels, and an electric kettle. The best hotel I ever stayed! Nice, clean, quiet and large, I felt myself like in studio, not just room. Will come back for sure! Located in the city center of Chisinau, Aparthotel features self-catering apartments with free Wi-Fi and an on-site restaurant. Helpful staff, large rooms, well equipped kitchen! 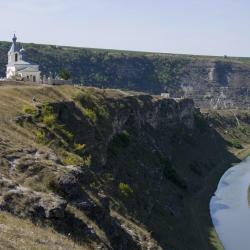 Purcari Winery hotel is located in a picturesque countryside, 67 mi from Chisinau. 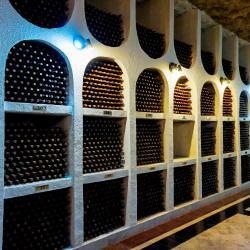 Every room at Purcari Winery Hotel is decorated in a chalet-style and includes a mini-bar. EVERYTHING! The staff is extremely friendly, polite and elegant. You feel like you are in another era. The building itself, the restaurant and the rooms carry you back to a time of beautiful people where the quality is expressed in everything around you. We ate some wonderfull 5 star fine dining meals and we visited the winery guided by our own private guide from the hotel. They do everything they can to make you feel welcome (they welcomed us 3 hours earlier than our check-in hour which was realy nice of them). Very refined and elegant! We will surely return! Located in the city center next to Chişinău’s famous Nativity Cathedral and Parliament building, this hotel offers free parking and free WiFi. Breakfast was amazing! Great staff. Located in the central part of Chisinau, 1312 feet from Nativity Cathedral, this hotel offers rooms with free WiFi, a terrace and private indoor parking. Cosy hotel with nice interior. Rooms are wide and clean, I had a balcony with inner yard. Staff provide free local white wine which is great in warm seasons. Just a 10-minute walk from the city's main street, this 4-star hotel offers indoor and outdoor pools, Russian steam room, fitness center, air-conditioned rooms with free Wi-Fi, and free Parking. Staff very polite and helpful. Willing to learn how to make an evening cocktail or two. Good food and salads. This strikingly designed, 4-star hotel in Chisinau offers soundproofed rooms with flat-screen TV, free Wi-Fi internet, and free guarded parking. 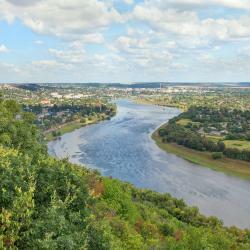 It stands directly beside the scenic Rose Valley Park. All. Everything was great. We will come again. This 4-star hotel is located in Chişinău city center, 1640 feet from Stefan cel Mare Street and a 15-minute drive away from Chişinău International Airport. Big shopping mall is right across the street with everything you need. Hotel is beautifully decorated. Very clean. Friendly and helpful staff. Restaurant has a nice selection of food and a sushi bar is awesome. 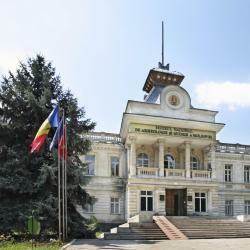 1.2 miles from Dendrarium Botanical Garden Chisinau, Catherine Hotel is located in Chişinău and provides air-conditioned rooms. 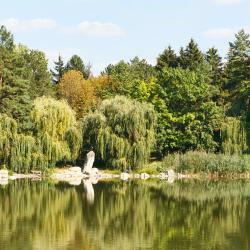 Offering a garden, the property is located within 1.8 miles of Moldexpo.... The staff went above and beyond their duties here. They really took care of me. This was my best hotel yet here. So grateful to them. A 5-minute walk from Moldova State University, Casa Daca Boutique Hotel is located in Chişinău and has a terrace and free WiFi. We liked everything about this hotel! Nice and clean rooms, friendly stuff, fancy restaurant and great location! Great choice - we highly recommend it!